Hello everyone, and welcome to the newly re-booted FCIL-SIS blog. As a member of the Publicity Committee and a blog administrator, I am so excited to see what you all choose to share in this new format! We have a lot to look forward to in the coming weeks. Volunteer bloggers have been flooding in, and you can expect to see book reviews, articles, and posts from a number of different conferences appear over the course of the next few weeks. When Neel, Loren, and I began talking about potential blog content, one thing that I very much wanted to introduce to the blog was a series of film reviews. While book reviews are valuable indeed, I’ve noticed that law librarians don’t seem to pay quite as much attention to newly released films. I wonder why? I’m sure that we would all agree that films can provide students and other patrons with a wealth of information, as well as a wonderful visual representation of how the legal system works. This is particularly true in the area of foreign, comparative, and international law, which many researchers find… well, foreign. Imagine trying to describe a religious or customary law system, for example, to a student who has never or rarely left the United States. This was my experience with some of the students in my FCIL course at LSU. Conveying the concepts of customary and religious laws, making the students understand that these systems are not inferior to common and civil law systems, describing how a customary law tribunal might operate or even what a courthouse or lawyer’s office might look like in a developing country – all of this, I realized, would be more meaningful and would make more sense if I could provide a dynamic visual depiction of the topic rather than relying solely on static photos and verbal description. This year, the second year that I taught the course, I introduced documentaries for the first time. 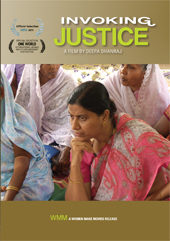 During the course of the semester, I screened two films, Invoking Justice and Justice for Sale, both of which I hope eventually to review for this blog. I also made several other films, both fictional and documentary, available to the students through my course reserves. Although screening two full length documentaries meant setting aside about three hours of class time, the students responded extremely well, and the screenings generated a lot of conversation both in class and in the online discussion forum that I set up. Providing the visual seemed to help the students to feel more comfortable with the foreign legal systems, as well as to identify potential obstacles in researching the laws of the countries depicted and to think about how they could overcome them. This in turn led to a greater willingness to take on complicated topics in their final papers, rather than remaining within their comfort zone by choosing common or civil law topics. As selectors, we certainly need to think about how film can support our patrons’ needs, even if we choose not to use it in our own research instruction. Whether we use film to support our own teaching mission or purchase it in support of others’ scholarship, it is important that we, as law librarians, stay on top of the best and most recent releases. 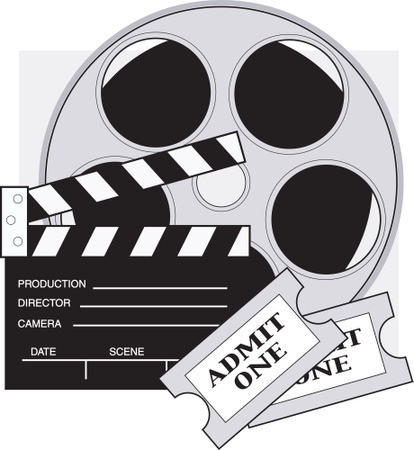 You will see film reviews appearing in future blog posts written by myself, Don Ford, and other volunteers. I hope that you will find them enjoyable, and that they will lead you to explore more fully the possibility of using film in research instruction. DipLawMatic Dialogues seeks contributors! We are currently in need of book reviewers, film reviewers, columnists, and one-time contributors to submit content relevant to the mission of the FCIL-SIS and of the blog. If you have an idea, please contact us at aall.fcil.blog@gmail.com or fill out the contact form on the Contributors page. If you don’t have an idea yet, but would like to contribute, feel free to contact us and we will help you to develop a topic! We are also looking for volunteers to blog from and about this year’s AALL Annual Meeting in San Antonio, as well as ALA, SLA, various chapter annual meetings, and any other upcoming relevant conferences. Please contact us if you are interested in covering these events!